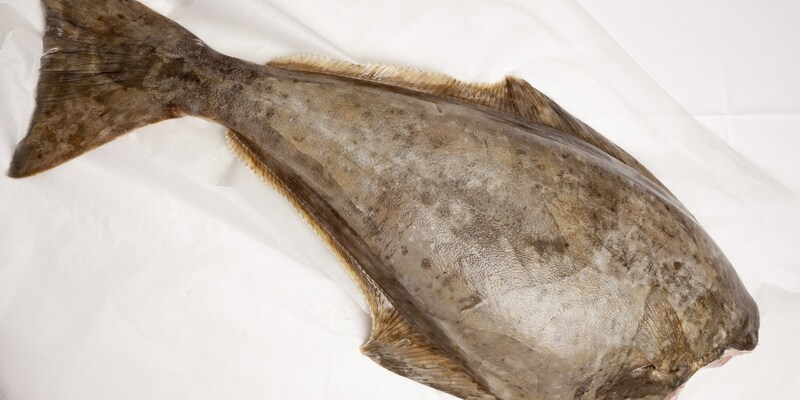 Halibut is a large, flat white fish which is most commonly caught in deep waters. Halibut are among the largest known species of fish in the world and can grow to enormous sizes, with the world record weight for a caught halibut standing at over 30 stone. It is a popular fish with chefs and home cooks alike, with firm meaty flesh that holds flavour well and cooks perfectly under the grill. While halibut can make a great alternative to cod or haddock it is also in danger of overfishing, so make sure you buy from a sustainable source if attempting these fish recipes. Browse our collection of beautiful halibut recipes, including Dominic Chapman's Pan-fried halibut with wild mushrooms and gnocchi. This recipe is the classic way to serve fish, with a lemon butter sauce and greens. Similarly Matthew Tompkinson's stunning Wild halibut recipe, served with fresh, seasonal ingredients such as morels, wild garlic and Jersey Royals, uses simple flavours to let the fish’s natural glory shine through . If you're looking for something a little more adventurous in flavour, Simon Hulstone's Poached halibut recipe is slightly more challenging, using tart pickled apple with earthy smoked eel.